Shorten Lines on Election Day. Be prepared for high-turnout elections like the 2020 Presidential Election. Verify voter statuses and reduce lines. Big buttons and text are easy to see and understand. 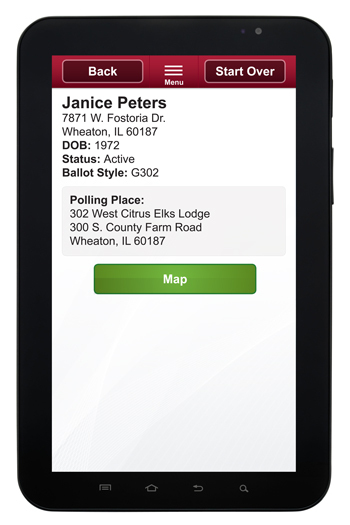 Manage elections from your office through a web portal. Import and export files instantaneously. Integrates easily with any Voter Registration System. Sets up simply. Look up voters without paper or wires to determine registration status and polling location. Simplify voter check in for voter's that have moved or changed status. The AskED Voter Direct finds results instantly and displays matches based on the information entered. Accurately verify voter status and ballot style with the AskED Voter Direct. 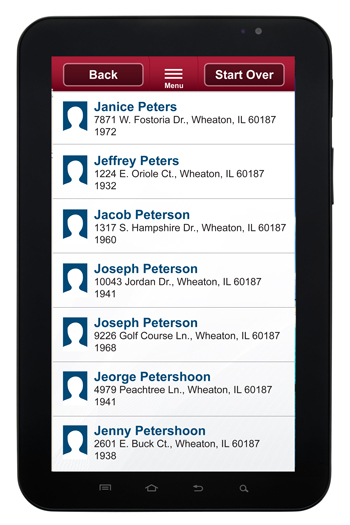 Provide voters with the address and map of their correct polling location with the AskED Voter Direct. The AskED Voter Direct does not require a connection to operate. Empower poll workers to efficiently determine voter registration status. Sync voter information via Wi-Fi or via a Secure Digital (SD) memory card. Store voter records from your entire county on the AskED Voter Direct. 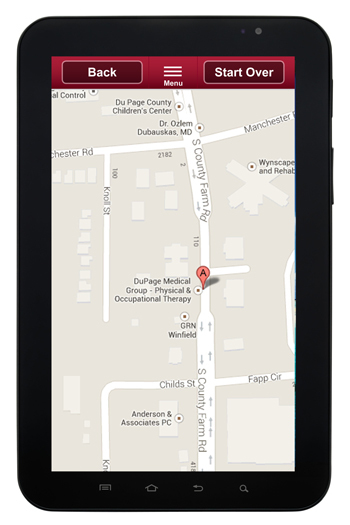 The AskED Voter Direct utilizes the powerful Android Operating System. The AskED Voter Direct empowers poll workers to answer questions on the spot. Your poll workers will love it. No other device makes a poll worker's job easier. The AskED Voter Direct integrates voter and poll site information. Give the correct answer on voter eligibility, ballot choice or even directions to another polling site accurately and efficiently. Equip poll workers with a mobile tool for immediately addressing and resolving the most common questions at your voting locations. The AskED Voter Direct drastically reduces phone calls from your voting locations thanks to voter eligibility statuses and poll place maps. Election after election, you can depend on the AskED Voter Direct.